Ascending Butterfly: Winner Announcement - Ascending Butterfly's Father's Day Meat and Cheese Gift Basket from 1800baskets.com! 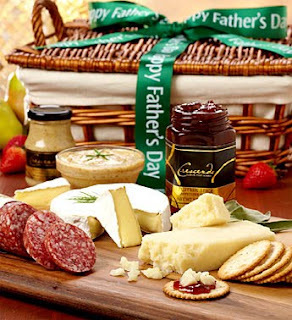 Winner Announcement - Ascending Butterfly's Father's Day Meat and Cheese Gift Basket from 1800baskets.com! (2) Ends Sunday, June 20, 2010 at 03:00 PM (EST) - Ascending Butterfly and our friends at Dove Men + Care and RocketXL would like to provide one lucky winner with the opportunity to win a Dove Men + Care Body and Face Bar in the Extra Fresh - Invigorating Formula win it HERE! Stay tuned, new gifts in our special 'dads and grads' buying Guide will post SOON! Saphyress,congrats on your yummy win!! Congratulations, what a great win! Congrats to saphyress. A nice win!